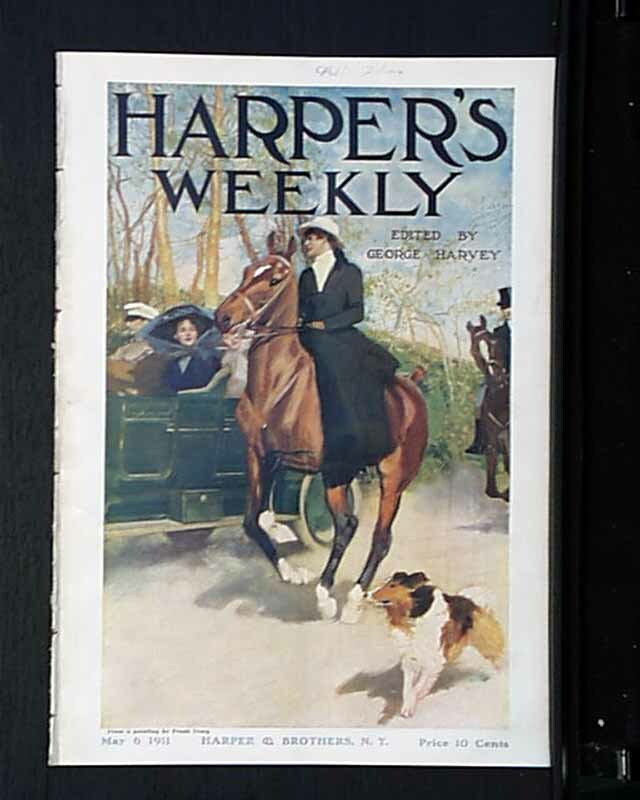 There is a full color cover page on this issue. 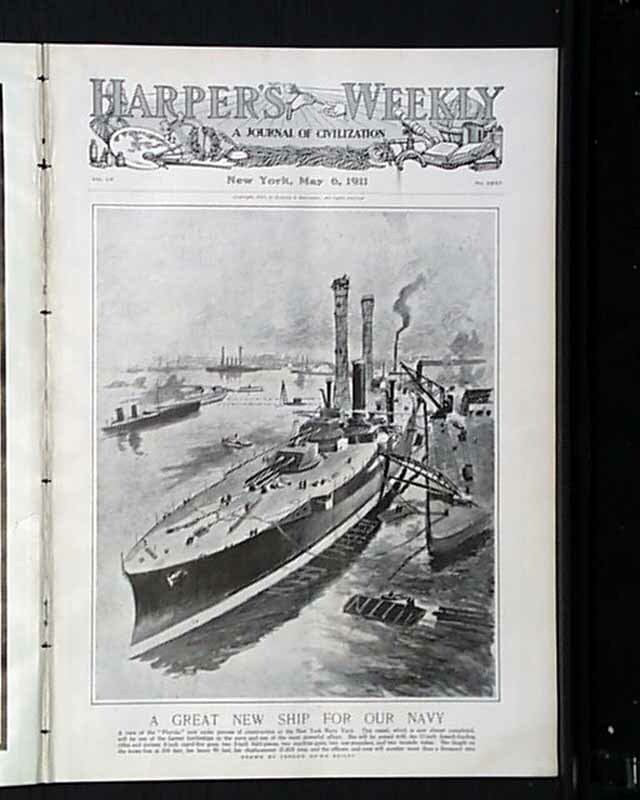 The front page of this issue is an illustration of "A Great New Ship for Our Navy" by Vernon Howe Bailey. 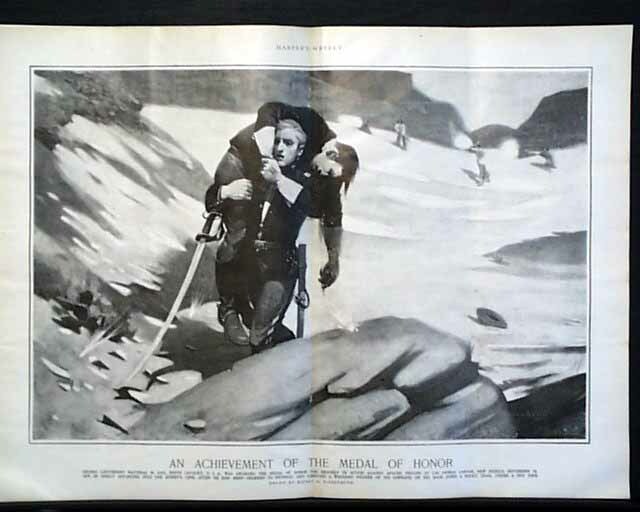 This issue has a double page illustration of "An Achievement of the Medal of Honor--Matthias W. Day...awarded....for bravery in action against Apache Indians...singly advancing into the enemy's line after he had been ordered to retreat, and carrying a wounded soldier...back down a rocky trail under a hot fire..." by Sidney H. Riesenberg. 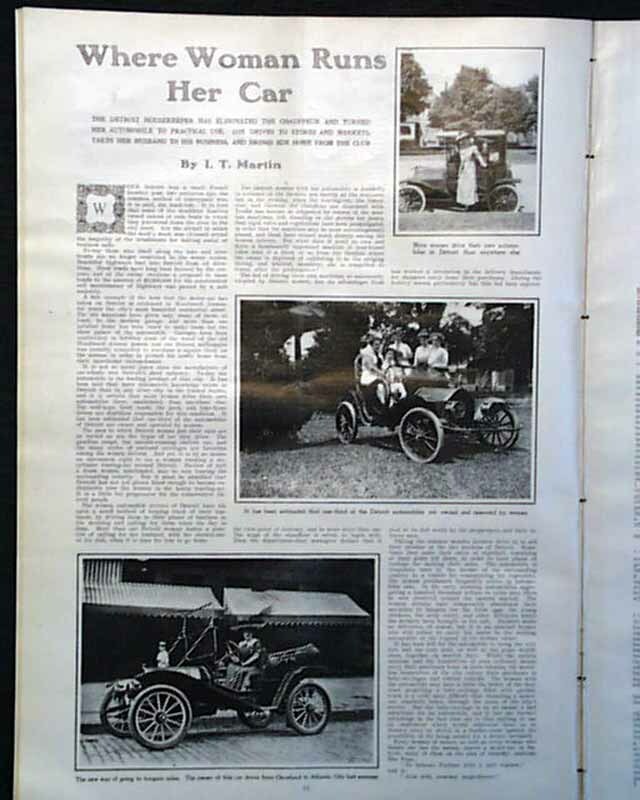 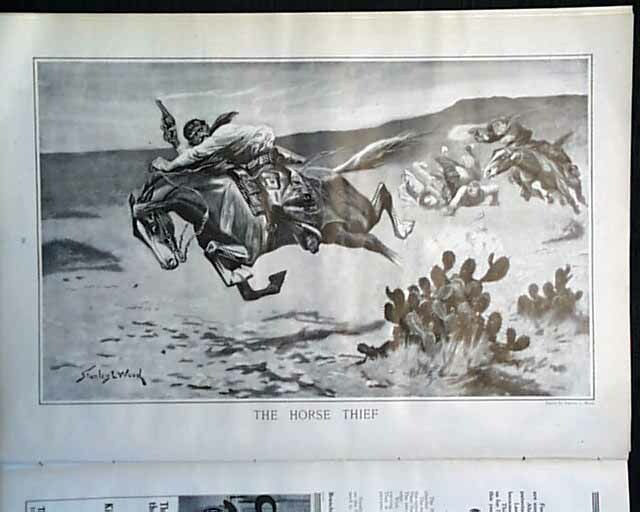 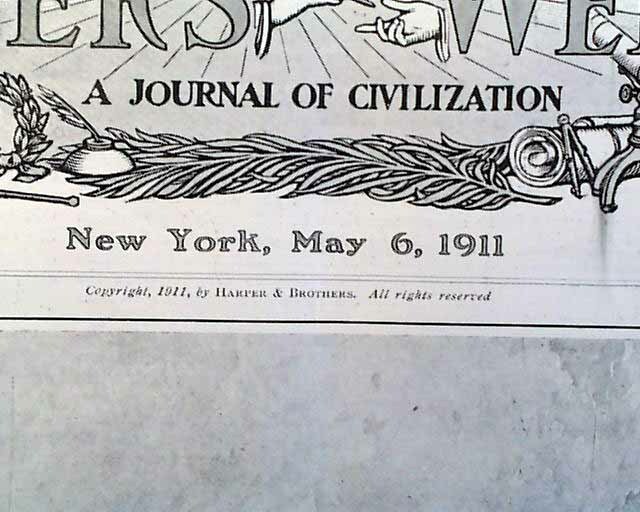 There are several full page car ads and a full page illustration of "The Horse Thief" by Stanley L. Wood and much more.